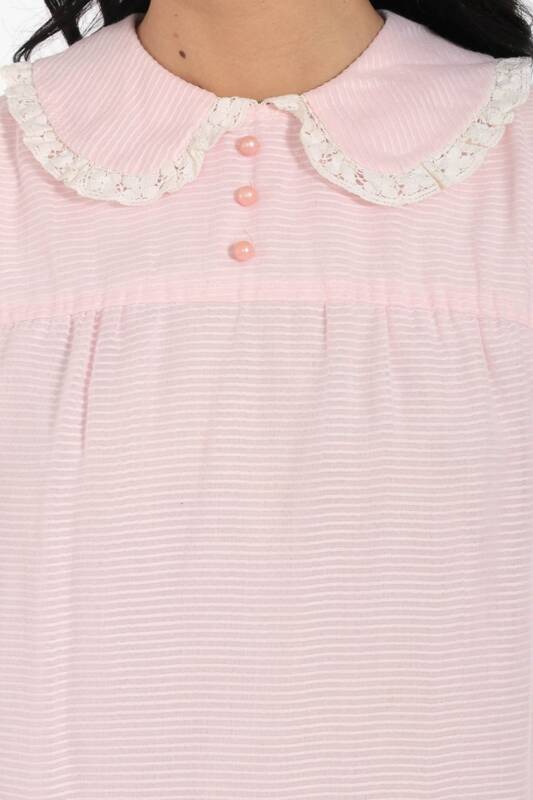 Vintage 60s dress in baby pink with a peter pan collar. 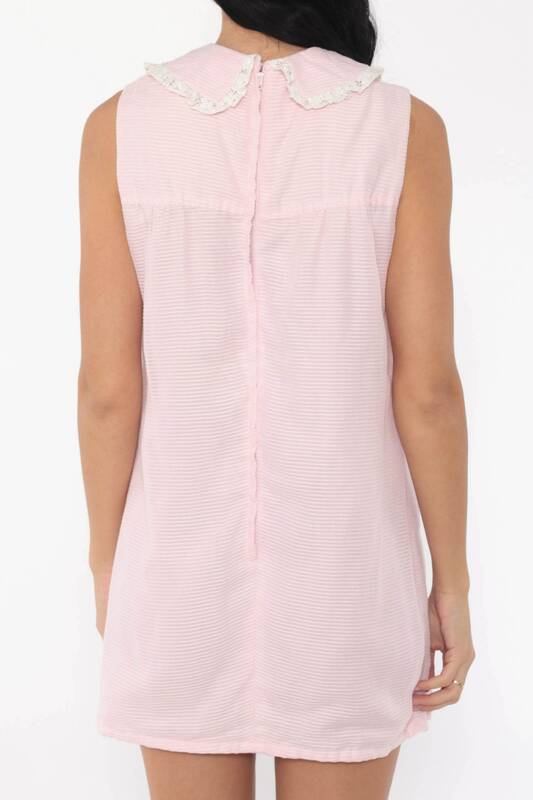 Shift cut with pockets and a rear zipper. Mini length. Material: Feels like a Cotton / polyester blend. Lined.